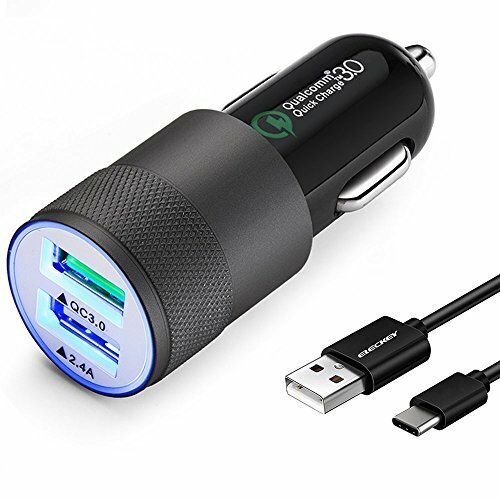 Quick Charge 3.0 Car Charger with USB Type C cable for Smasung S8/S8 Plus,etc. - Eleckey intelligent circuit design protects against short circuiting, over-heating, over-current, and over-charging. Charging stops when battery is full. -12 months worry-free product guarantee for every purchase from Eleckey. If you have any questions about this product by Eleckey, contact us by completing and submitting the form below. If you are looking for a specif part number, please include it with your message.